It somehow hasn't felt much like Christmas this year. We've been living such busy and harried lives, and I haven't been able to find the time to centre down and reflect on the true meaning of the season. As Christians, Christmas is so much more beyond the tinsel, holly and gift-giving. It is our all-powerful, infinite God of the Universe choosing to take the form of His finite creation, becoming flesh and dwelling among us because that was the only way we would know Him. He is Emmanuel, our God who is with us. 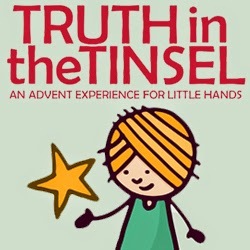 So it is my hope that our selected series of activities for the season, The Truth In The Tinsel, will help us as we walk through the season as a family and help the kids know each part of the Christmas story well. The boys were out at their grandparents', so I scrambled to print out what was needed from the PDF I had been sent. The activities are in 4 steps for each day: a clue to be uncovered, a scripture passage to read together, an ornament to be created, and some points to be discussed. There is also a section of additional activities that we can do together. I wanted to do a Jesse tree this year, which would function as our Advent calendar and countdown to Christmas. 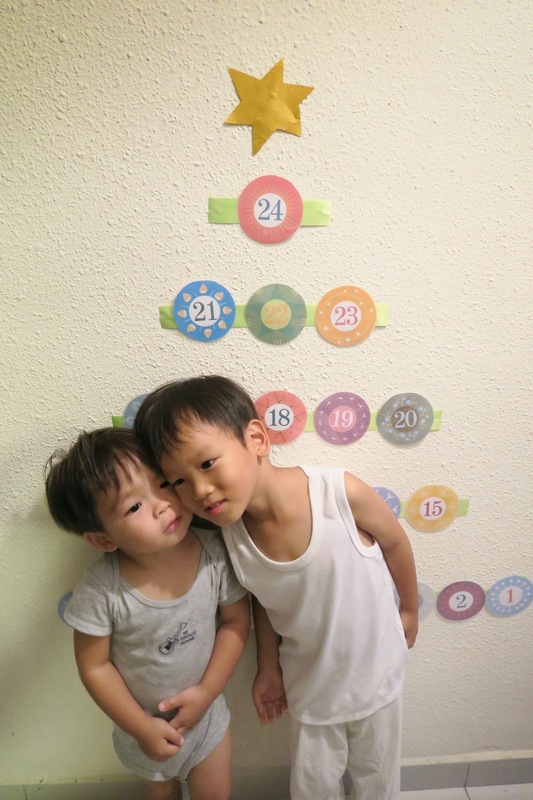 Each day of Advent a homemade ornament is added to the Jesse Tree, a small tree made of evergreen branches. These symbolic ornaments can each represent a prophecy foretelling of Christ. Other variations include creating ornaments that represent the ancestors in the lineage of Christ, or using the various monogram symbols of Christianity as handmade ornaments. 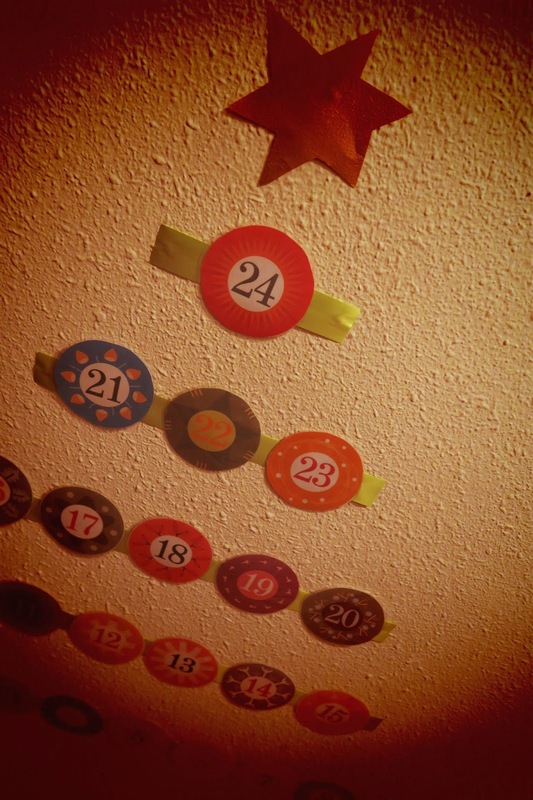 After wracking my brain for ideas, I decided to go with Mark's advice and do a simple one with green ribbon and advent number printables. 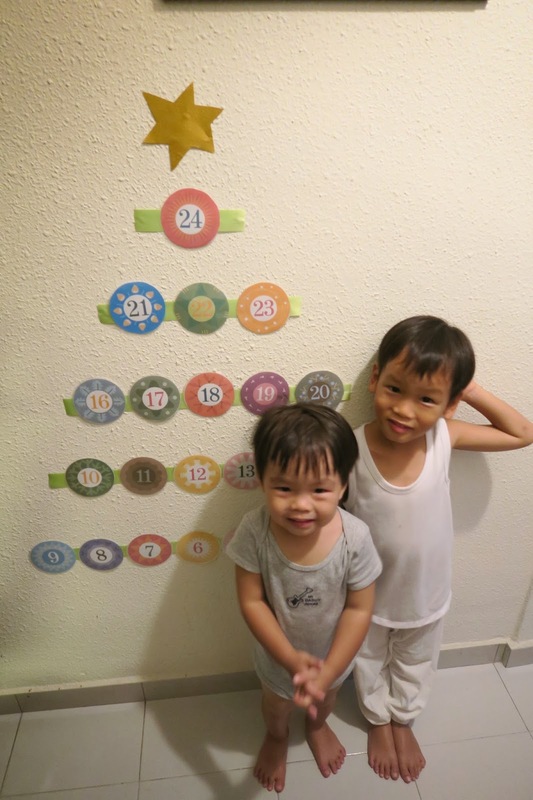 I pasted the clues behind each number so that the boys would be able to uncover them as we celebrated Advent. To read more about Truth In The Tinsel, check out our previous blog post here.